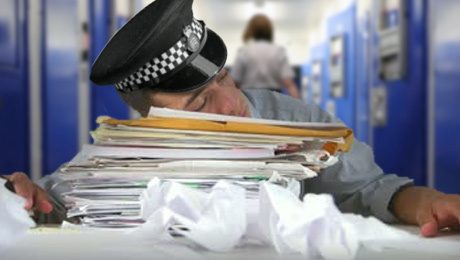 Statistics taken from the ‘Police Roll of Honour Trust’ – a website which catalogues all serving police officer deaths since 2008 – shows that the police are actually at greater risk from dying at their desks from poor health than they are from encountering violent crime on the streets. Of the 56 serving British police officers that have died in the past 7 years, only 3 of them have been killed in the line of duty as a direct result of violent crime. Andrew Duncan in 2013 who was run over by a suspect’s vehicle which refused to stop, and Nicola Hughes and Fiona Bone who were shot in 2012 by Dale Cregan. Since 2008 when the website began, 6 officers have died at their desks as a result of heart attacks or brain haemorrhages, with 5 more officers dying from the same symptoms after jogging, cycling, running or driving. With 27 out of the 56 killed as a result of off duty car or motorbike crashes. None of which involved chasing suspects. In fact, it would appear safer for a police officer to be driving ‘on duty’ than ‘off duty’ when you consider that only 9 out of those 56 officers died as a result of on duty car crashes. In the early days of this site we exposed the myth of police danger when we highlighted the almost non-existent rate of police stabbings that occurred over the entire force in one year. Yet still the hackneyed meme persists that the police do a dangerous job, when the statistics prove otherwise. Compiled below is the full list of police deaths from the years 2014 – 2008.